For all your Pet's needs! Fun 4 All Pet Resort is not a kennel but rather a pet resort with 4500 sq ft of indoor and outdoor spaces for play and recreational activities, private overnight suites, grooming, and a store with all natural foods and health products. Everything you need in one location for all your pets needs! Whether you choose to have your dog groomed by one of our experienced groomers, or drop off your dog for a day of mental and physical stimulation while attending doggie daycare, or if you need your pet to stay overnight in one of our comfy suites, we are here to help with all your pet's needs. Your pet will love it here! Please feel free to drop in for a tour or talk with us about your pet’s special needs or contact us to learn more. We are here to help. Our facility is conveniently located just south of village green mall. 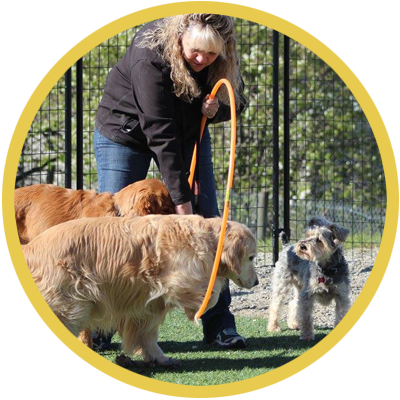 Your dog will enjoy a day of social, mental and physical stimulation while being supervised by our highly trained team members in a safe controlled environment. Owners can choose to take advantage of doggie daycare or overnight stays as needed. 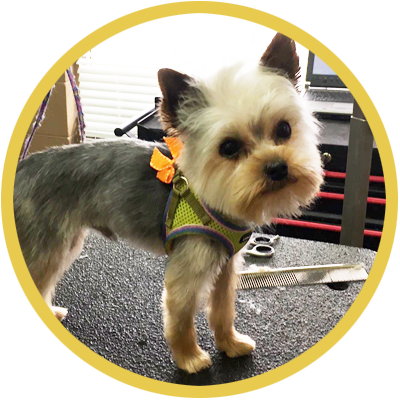 We offer our clients a state of the art pet grooming facility where we understand that every pet is unique and deserves the very best of care and a gentle touch. Making your pets feel at ease is our top priority, and of course they come away looking oh so cute! 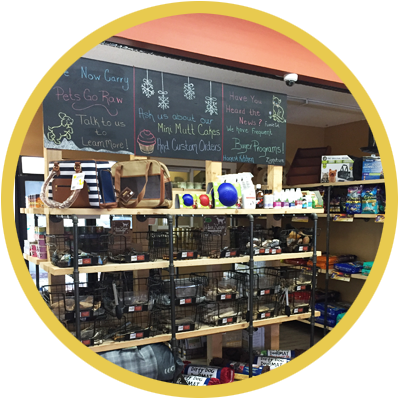 We carry a large selection of products such as food, treats, toys & chews, beds, door mats, carriers, shampoos, vitamins and supplements, cleaners, leashes, collars, and more! All of our products are either organic or natural for the health and well-being of your pet. Jasper LOVES it at Fun 4 All! I know he's safe having a separate area to play with the smaller dogs, yet he has gained confidence to play with the bigger dogs too. He comes home happy and tired. Plus he loves their yummy healthy treats. Carol, Len and all the staff are wonderful and great with the dogs! 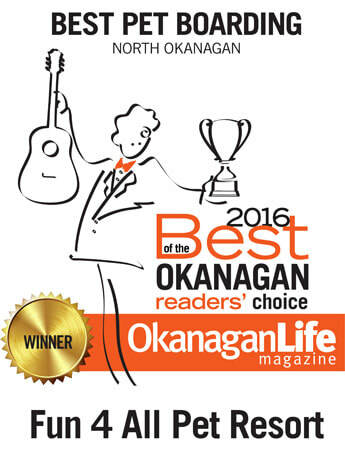 Carol, Len and their staff have 100% earned my trust and love! Our baby Harvey is always so happy to visit. He is happy and tired every time we leave. We call Fun 4 All our second family! Well trained staff that care, happy owners who love their business, and I imagine tons of happy customers. I don't know what I would do without this wonderful establishment!! I'm absolutely thrilled with finding such an amazing place to take my little Bella. I will never have to worry about whether my dog is being cared for or not. The staff truly love your animals as their own. Thank you, thank you, thank you!! Love this place! Carol and Len and the staff take amazing care of my dog. When we first moved here she had really bad separation anxiety. It was a huge relief to know they care for her and she really loves going here! New to Fun 4 All Pet Resort? To ensure the safety of all our guests, we require all dogs to pass a social evaluation to confirm your pet will be a good fit in our play groups. To schedule a meet and greet with yourself and your pet(s) please contact us.